Are you tired with the common video game genres currently saturating the video game industry? Are you looking for a new challenge that involves both strategy and fun? Welcome to the world of Pocket Tanks! This page contains all the necessary details and information that you need to begin your journey into the intricate and challenging world of this classic masterpiece. 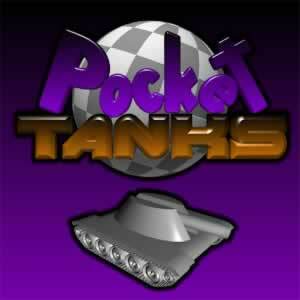 Pocket Tanks is a fast-paced artillery game developed by Michael P. Welch and was launched in 2001. 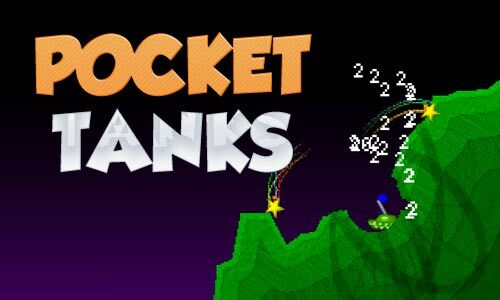 Though most games launched during that time has perished to obscurity, Pocket Tanks has remained and established itself as a cult favorite evidenced by the millions of downloads and fans worldwide. Click on the pages below and discover what makes this 17-year-old game one of the most iconic titles in the genre of strategy. Learn more about the Pocket Tanks and Pocket Tanks Deluxe history, get a head start with some tips and tricks and acquire the basic the knowledge on how to build up your strategy. So, what are you waiting for? Plan your strategy, adjust your angle, and blast your way into the simple yet intricate world of Pocket Tanks. We will answer the most frequently asked questions about this fun and exciting artillery game. Download Pocket Tanks on your PC today!